2011 July | whydocatholicsdothat.com Blog– Pray. God is waiting. July 26 is the day we honor St. Anne and St. Joachim–parents of the Blessed Virgin Mary. In the beginning of their lives both St. Anne and St. Joachim wanted children but could not have any. St. Anne prayed to God for many years. In her prayer she promised to consecrate her baby. St. Anne was beyond child bearing age when she found she was pregant. God answered St. Anne’s prayer and she was able to be pregnant and gave birth to the Immaculate Virgin Mary. Such an incredible moment to not only give birth at her age, but to give birth to the one who will become the Mother of God. St. Anne kept her promise and gave Mary’s life to the service of God. Mary went to live in the holy Temple of Jerusalem. Both Mary’s parents continued to pray and live their lives in prayer. 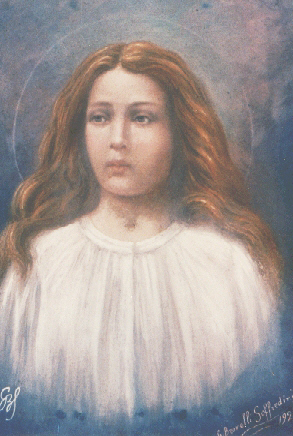 Many people have prayed to St. Anne for help. 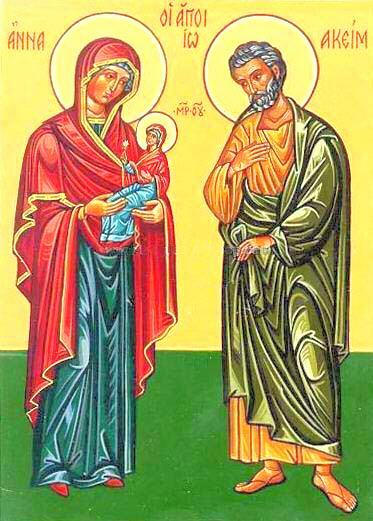 St. Anne and St. Joachim were the parents of Mary and the grandparents of Jesus. Let us ask these holy grandparents to help us become closer Jesus and Mary. Born in 1890 in Italy, Maria came into this world to a very poor family. Her father passed away ten years after she was born. But when she became old enough to help, Maria often cared for the farm, the house, along with all the children with her mother. Although they lived in poverty, Maria never complained. She also attended daily masses even though it was a two-hour journey by foot. It was July 5, 1902 when Maria’s neighbor, a young man, tried in vain to make Maria fall by violating her purity. Maria held firm against his advances. The young man’s name is Alexander. Although Alexander tried again to make her sin. This time, Maria was assulted for fending off her attacker. The more Maria fought Alexander off, the more offensive the attack. Eventually, Maria was dragged into a room and stabbed with a dagger Alexander had made. Even then, Maria warns Alexander that what he is doing is a great sin before God. Maria was taken to the hospital where she passed away shortly after the assualt. Before she died Maria forgave Alexander. She also received the Blessed Sacrament of the Most Holy Body of Jesus in Communion and then passed away. St. Maria Goretti please assist us in our time of need. Let us be awakened to the power of the Sacrament of Reconcilliation and Communion. Amen. A common celebration in the United States recognizing independence from Great Britain. 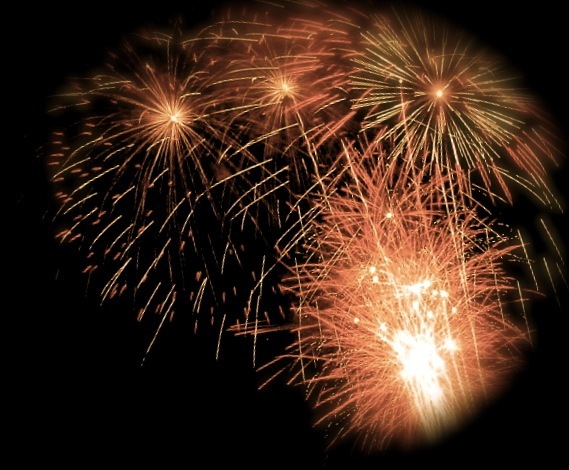 It is a commemorating of the Declaration of Independence July 4, 1776. July 4th is also a day for a Catholic saint. St. Elizabeth of Portugal. 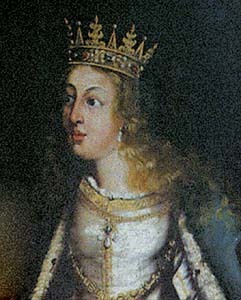 A Spanish princes, Elizabeth was born in 1271. Her family comes from aristocracy. She married King Denis of Portugal when she was only 12 years old. Elizabeth was devout and went to mass daily. She was a good mother to her two children Aphonsos and Constance. And although her husband was unfaithful, she refused to become bitter. After the death of King Denis, she joined the Franciscan Third Order where she performed loving acts of charity and penance. She was known as the peacemaker between members of her own family and of nations. St. Elizabeth died on July 4, 1336 and proclaimed a saint by Pope Urban VIII in 1626. St. Elizabeth please help us appreciate the Mass and help us to become more involved with attention and devotion. Amen.